Palm Sunday and reed strings. The first time my husband brought home sfinge I was shocked thinking, “what it’s Palm Sunday and they celebrate it here?” Except wait they get doughnuts with their palms?? Weird! But no it wasn’t that because it was August. 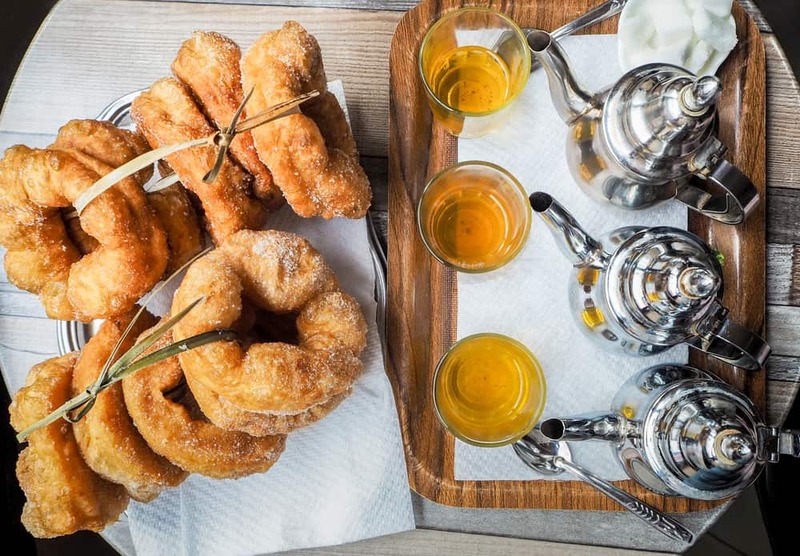 These tasty, delicious doughnuts are sometimes made at home but are often bought from street vendors. 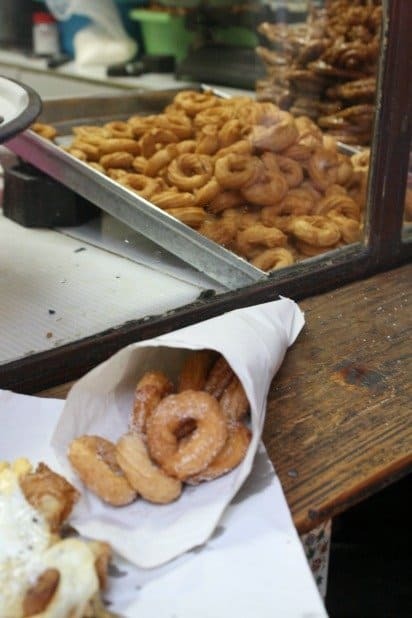 Fried dough must be a staple in every culture but just thinking about these doughnuts makes my mouth water. I make them at home now on cold winter nights with a big mug of hot chocolate. Yum! 1. In a small bowl dissolve the yeast in the warm water. In a large bowl mix the flour and salt. Add the water and yeast mixture, and stir vigorously with your hand or a spoon until smooth. The dough should be too sticky to knead or shape. 2. Cover the bowl, and leave the dough to rise for one to two hours, until double or triple in bulk.In a wide pot heat at least an inch of vegetable oil until hot. 3. Fill another bowl with water and set to the side. You should have three bowls ready. One with your dough, one with water, and a third with sugar. 4. Cover a large plate with paper toweling or a towel. To begin dip your hand in the water and pull off a piece of dough about the size of a plum. 5. Using your fingers make a hole in the dough and stretch into a ring. 6.Place into the oil. Repeat with the remaining dough. Be careful not to crowd the pan. 7. Depending on the size you may only be able to do 2 or 3 at a time. Fry them until golden brown, flipping a few times to make sure both sides are cooked well. 8. Remove from oil and set on plate to drain. 9. Once the extra oil has been absorbed, roll them in the sugar mixture before they cool off. 10. Place on a clean plate. *Note: In Morocco they’re rarely rolled in sugar and instead could be dipped in honey. Sfinge!! Yay! Love these. 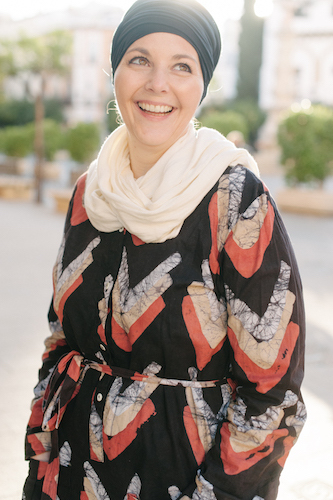 My husband bought these a few times during my stay in Marrakech. They weren’t sugar-coated though. And we have a fun happy memory of buying these from a street vendor on the way home from the cinema. Most Moroccans eat their Sfinge without sugar, it’s almost a savory treat. I remember my parents bringing them home to eat with a nice cup of Nana tea. I’m making them this week for Chanukah and it’s going to bring back a lot of memories. That’s interesting – I wonder if it’s regional? 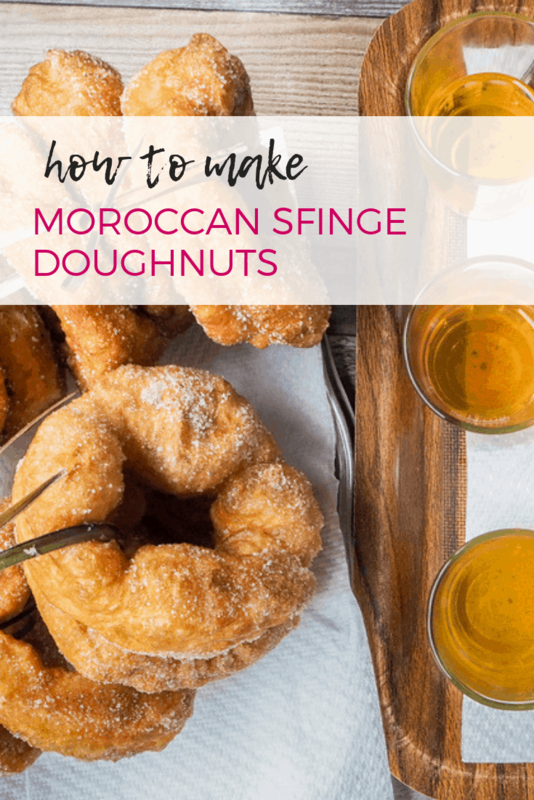 Everytime I’ve eaten sfinge in Morocco they were rolled in sugar!